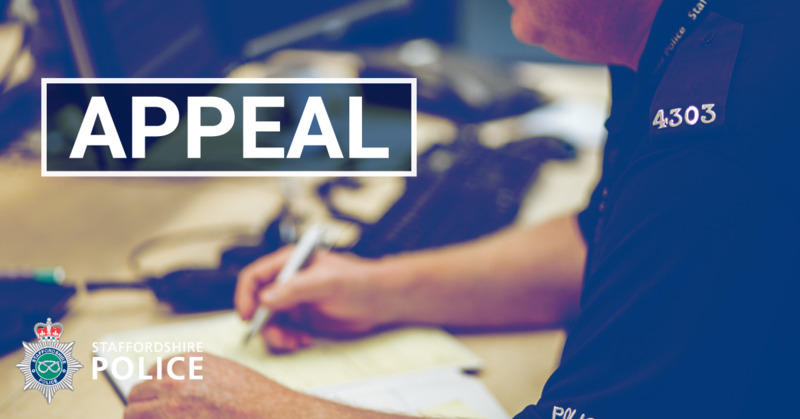 > APPEAL: Did you witness an assault in Hanley? APPEAL: Did you witness an assault in Hanley? Staffordshire Police is appealing for witnesses following a serious assault outside the Potteries Shopping Centre on Friday 1 February. Officers are investigating after a 36-year-old man received serious facial injuries after being attacked with a knife at around 12:50pm. The victim was taken to Royal Stoke University Hospital where he remains in a stable condition. The suspect, described as having a medium build and short hair, was last seen running towards the Wetherspoons on Tontine Street. If anyone witnessed the incident or spotted anyone acting suspiciously in the area at that time, please contact Michael.hall@staffordshire.pnn.police.uk quoting incident number 308 of 1 February. Alternatively, for guaranteed anonymity, call Crimestoppers on 0800 555 111.